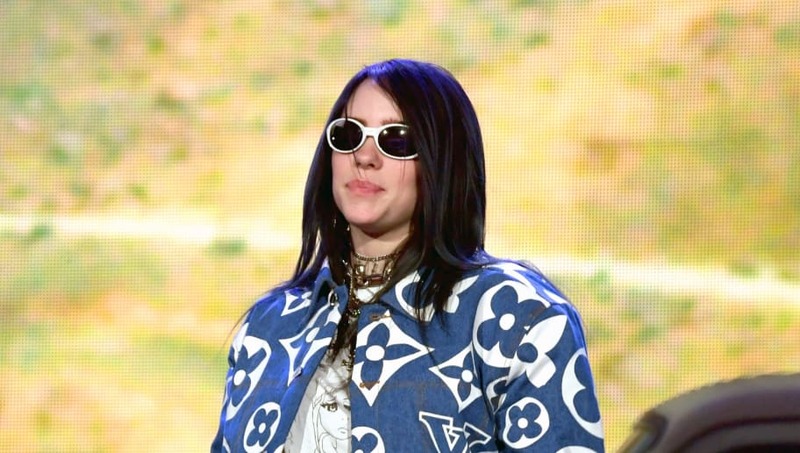 Following a prank on The Ellen DeGeneres Show, rising pop sensation Billie Eilish finally got to meet her music idol Justin Bieber at Coachella this past weekend. Eilish performed on Saturday, April 13, the second day of the first weekend of the festival. Following her electrifying performance which included hits from her debut album, When We All Fall Asleep, Where Do We Go?, Bieber tweeted how proud he was of the young artist--who is known to be an avid fan of Bieber. Just mere hours after the performance and Bieber's tweet, the duo was seen meeting in person for the first time and hanging out during Ariana Grande's headlining set. An onlooker captured the two hugging, and there were also photos posted of Eilish hugging Hailey Bieber and having a dance off with Justin and late night TV host James Corden. During her appearance on the talk show earlier this month, DeGeneres mentioned that Billie would meet the singer "someday"--which had everyone convinced Ellen would bring him out then and there, as surprising her guests is not uncommon on her show. However, instead of Bieber actually making an appearance, Ellen had one of her team members vaguely dressed like Bieber pop out of a piece of furniture to scare the singer. Ellen was right--Billie did end up meeting Bieber just weeks after her appearance on the show, and we are living for the adorable footage of the two hugging for the first time.